Over the years, NPQ has covered food deserts and the role that the nonprofit sector can play in influencing consumer behavior and limiting food waste—particularly the faith-based community. This comes as part of the broader context of the United States’ ambitious goal to cut food waste by 50 percent in the next 15 years. Currently, the U.S. produces 133 billion pounds of food waste while 14 percent of U.S. households are food insecure. 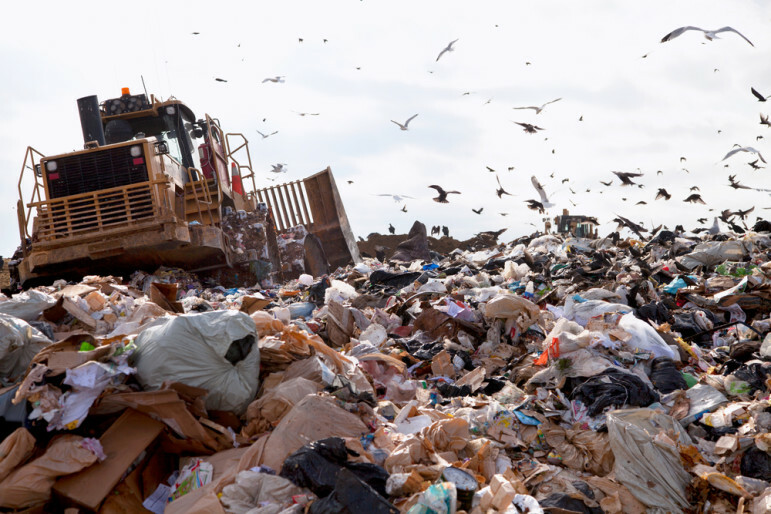 In addition to alleviating hunger, reducing food waste also has the potential to mitigate the impact food waste has on climate change; the methane emissions that come from the food piled into landfills contributes to climate change, according to EPA Administrator Gina McCarthy. Earlier this month, France became the first country to set a policy that mandates all large grocery stores to eliminate food waste by donating the food they pull off the shelves to local charities. Current practice across the EU and the U.S. is for supermarkets to discard food that has passed its sell-by and best-before dates. Some grocers intentionally destroy the food—pouring bleach on it, for instance—in order to prevent individuals searching through trash from placing themselves at risk of food poisoning. Now, French supermarkets over 400 square meters in size (4,304 square feet) will be required to send that food to local nonprofit organizations and food banks instead, who will in turn redistribute that food to France’s hungry citizens. Many of those nonprofit organizations are already equipped to receive and distribute food, but will likely have to increase their storage space and staff capacity to manage a significant increase in the amount and variety of food they receive each month. The key premise on which this policy relies is that healthy, edible food is going to waste based on consumer confusion around expiration dates. Sell-by and best-before dates will push grocers to remove food from shelves, but those dates typically indicate the food’s peak quality—not the date at which it spoils. Back in 2013, when former Trader Joe’s President Doug Rauch opened The Daily Table based on this same concept, it gave rise to questions for NPQ, Huffington Post and others of whether expired food is ethical to serve or sell to low-income community members. Grocery is a tough business, even if you’re big. Nonprofit grocery stores serving low-income neighborhoods are even tougher to sustain, but many are making the effort.